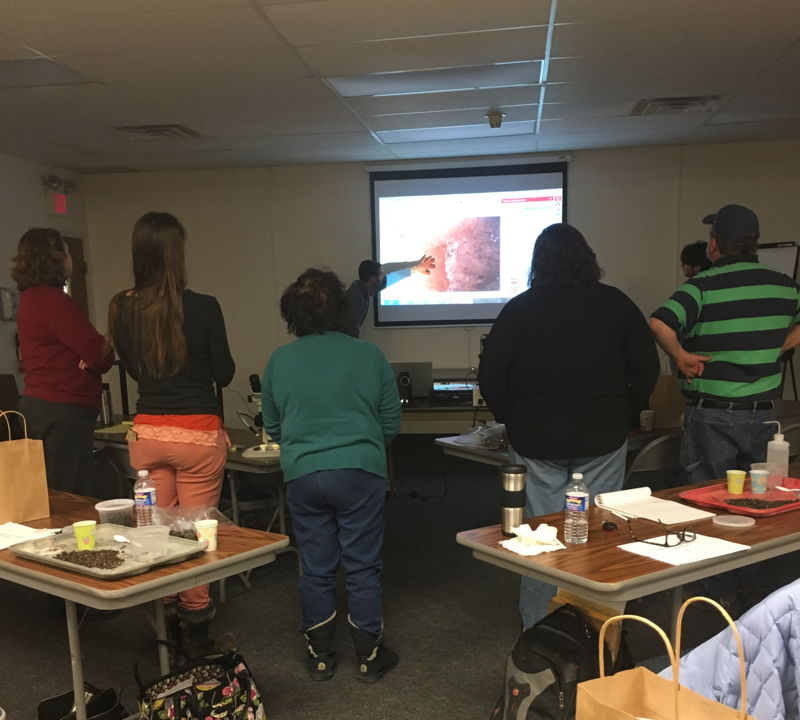 This workshop was based on the use of biological control, specifically entomopathogenic nematodes, to maintain pests on school grounds. The participants used this time to carry out a mock lab trial that can be implemented in science classrooms throughout the state. 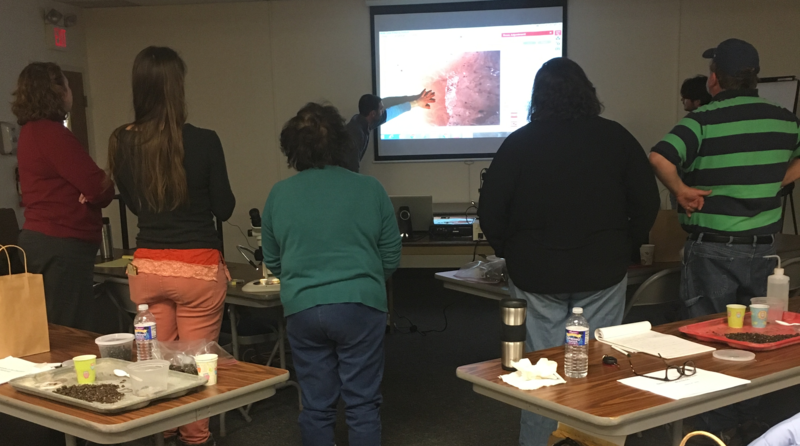 Participants gathered around the microscope image of nematodes bursting from cadaver.